Daring militants on Monday blasted an oil pipeline belonging to Shell Petroleum Development Company (SPDC) in Batan community in Warri South West Local Government area of Delta State. It was gathered from Security source that the incident occurred at SPDC Camp Five at about 1a.m. with a huge fire enveloping the site of the attack. “Suspected militants attacked SPDC pipeline in Batan at about 1a.m. with dynamites. As I am talking to you now, the place is engulfed with fire but efforts were being made to put it off”, he said. Another community source confirmed the incident, claiming that he heard a huge explosion in the midnight only to discover it was a pipeline belonging to SPDC that was blasted. He said: “We heard a huge explosion when we were sleeping. We rushed out and found that SPDC pipeline was on fire. We are not sure whether it was militants that caused it or not”, he said. 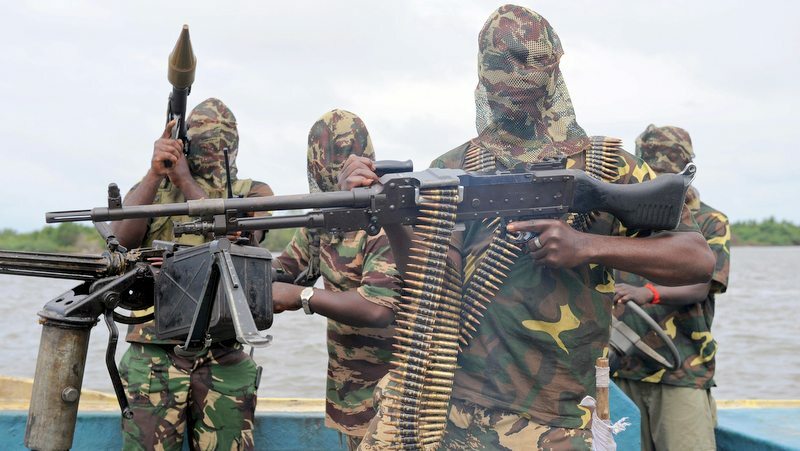 Niger Delta Advengers (NDA), the militant group breaching oil facilities in the Niger Delta, is yet to claim responsibility at the time of filing this report. Instead, the group claimed on Monday it did not have any meeting with the Minister of Youths and Sports, Solomon Dalung, at Oporoza in Warri South West Local Government area of Delta State. Reacting to the Minister’s claim that he met with Niger Delta Avengers last weekend, the Niger Delta Avengers said he must have been duped by fraudsters since it did not send any representatives to “meet with a commom Minister”. “The Minister of Youths and Sports, Solomon Dalung, narrated how he met with some self-claimed Niger Delta Avengers in Oporoza, Gbaramatu Kingdom. We are here to let the general public know that Niger Delta fraudsters has defrauded the Minister. “Niger Delta Avengers can’t stood so low to send representatives to meet with a common Minister of youths that doesn’t know his work”.